Since it’s opening race in 1990, New Hampshire Motor Speedway has long-served as one of the premier stages on the schedule for the NASCAR Whelen Modified Tour and NASCAR K&N Pro Series East. NASCAR K&N Pro Series East championship points leader Tyler Ankrum. Racing will kick off today with the fifth running of the All-Star Shootout for the Whelen Modified Tour. The twenty-car, thirty-five-lap special event will serve as a precursor to Saturday’s Eastern Oil & Propane 100. Saturday’s racing will be capped off with the NASCAR K&N Pro Series East in the United Site Services 70. The ‘United Site Services 70’ is scheduled for seventy (70) laps on the 1.058 mile paved track for 74.06 miles. PLACE New Hampshire Motor Speedway, Loudon, N.H. EVENT SCHEDULE Friday — Garage opens: 12:30 p.m. ET; Practice: 4-4:30 p.m.; Final practice: 6-6:45 p.m.; Group qualifying: 7:05 p.m.
Saturday — Garage opens: 3 p.m. ET; United Site Services 70, 6:45 p.m. Since NASCAR lowered the minimum age to compete in the touring series in 2007, the K&N Pro Series East event at New Hampshire has been a defining moment on the resume of a number of rising stars. Joey Logano (2007), Ryan Truex (2010), Max Gresham (2011), Kyle Larson (2012) and William Byron (2015) all won at the “Magic Mile” en route to their series titles. The maximum starting field for this event is thirty-six cars; with only twenty-two names on the entry list – everyone will race. 14 Trey Hutchens Bobby Hutchens Jr.
• The Bill McAnally Racing trio of Kraus, Hailie Deegan and Cole Rouse are all entered for Saturday’s event. 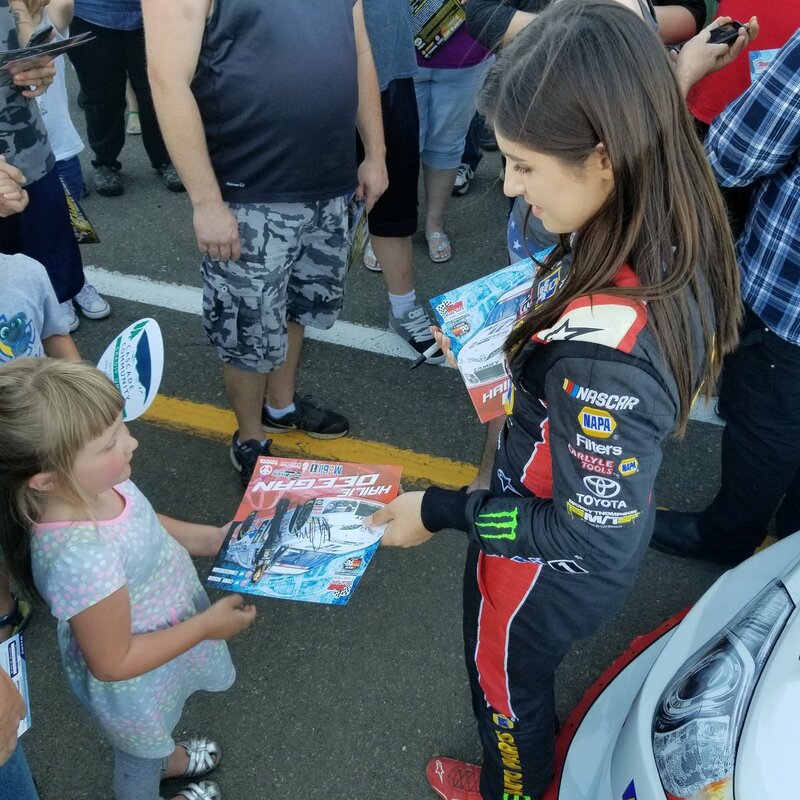 Deegan is coming off of her career best finish in K&N Pro Series competition as she finished second at Douglas County. 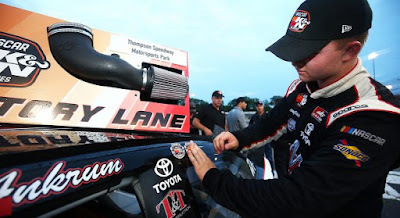 Rouse sits fourth in K&N Pro West standings and finished second at New Smyrna in February. • 15-year-old Sam Mayer will make his series debut at New Hampshire. The 2017 United States Legends National Champion will be driving for Jefferson-Pitts Racing. • Current Monster Energy NASCAR Cup Series drivers who have won the K&N Pro East race at New Hampshire include William Byron, Kyle Larson, Joey Logano, Corey LaJoie and Martin Truex, Jr. Past K&N Pro Series race winners at New Hampshire currently in the playoff field in their respective series include Cole Custer and Ryan Truex (NASCAR Xfinity Series) and Brett Moffitt and Justin Haley (NASCAR Camping World Truck Series).